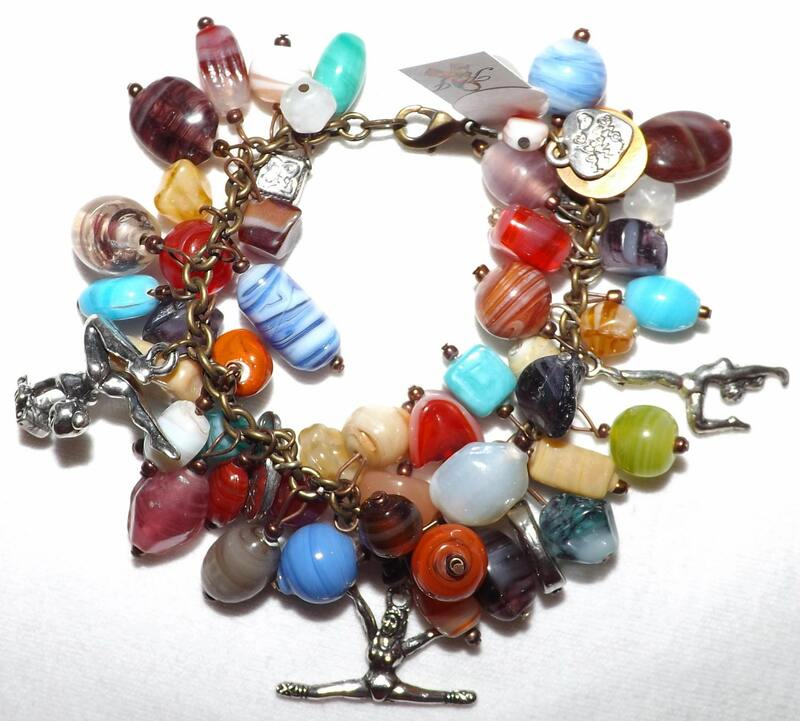 This bracelet is made with milk/color glass beads and gymnastic poses charms. 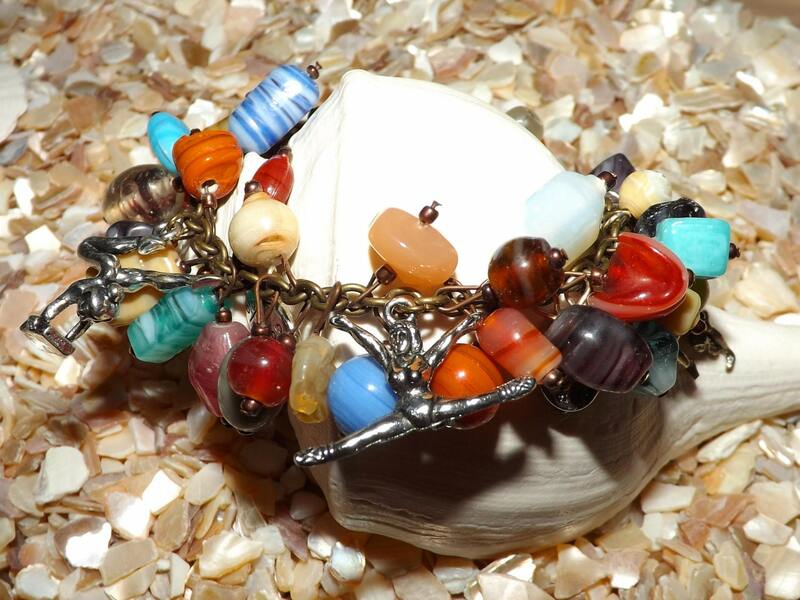 The bracelet is 7 inches, I can shorten or lengthen the bracelet if you need. Just send me a message. If you would like different beads or themes just send me a message.